Having taught Mark, my son, my skills portfolio and experience extends on from his. Highly experienced. These techniques are used in much of our work, a core part of panelmaking and bodywork repairs. 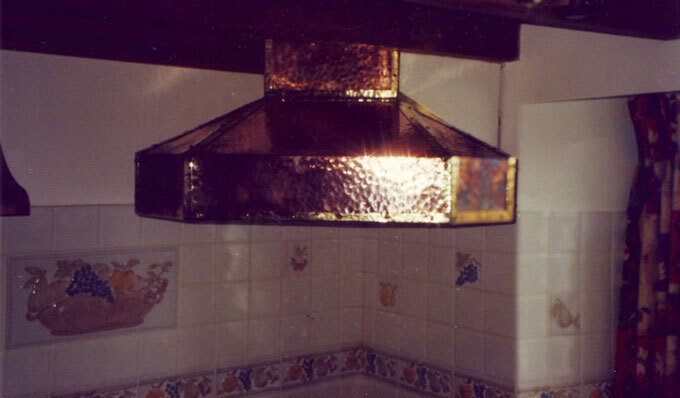 Highly accomplished and experienced with all tin and lead-work. Sometimes this can be over used, the art is to use it only when necessary. Again highly accomplished and another essential skill for this occupation. 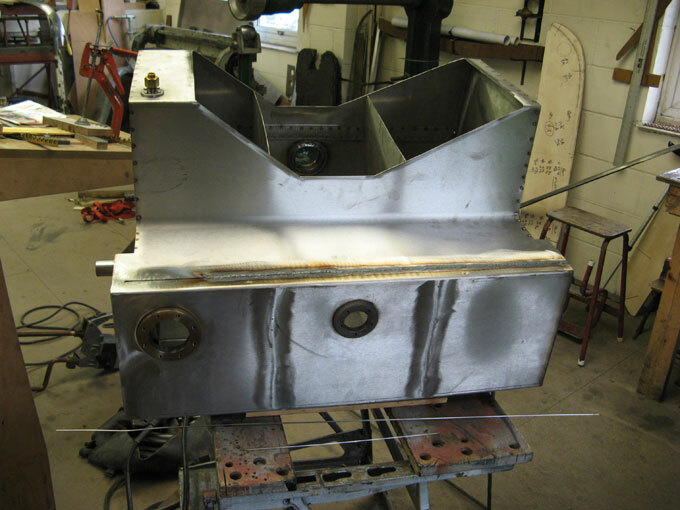 Fabrication obviously comes into play with many things and clearly an identifiable aspect with this Bentley Speed Six Stainless Steel Fuel Tank. Highly experienced although nowadays Mark does much of this. Highly skilled and experienced. I have produced custom metal panels for vintage cars, antiques and all sorts of items for over 40years. After Mark has prepared the job I will form the shapes by tapping, wheeling, shinking, stretching and then i’ll planish, file up and finish – although not every job is as easy as that sounds! Gas (with or without rod) with both steel and aluminium, TIG (steel, aluminium and stainless steel) as well as MIG and stick welding. Highly accomplished in every sort of finish whether it’ll be a paper finish or polished. Nowadays Mark does much of this for me. Highly accomplished in all aspects having worked on the earliest vintage vehicles like this 1911 Daimler through to more modern day cars like the work I did at Emblem Sports Cars during the 1980’s at Pimperne. Highly experienced and capable of producing every shape and contour with a wide variety of metals but predominately in aluminium and steel but also with copper, brass and zinc. Highly experienced with over 40 years experience. Director and part owner of Entryweb an Online Entry System for cycling events. Helped Mark developed and run the Wessex Cycle Racing League. Organised the under 23 National Road Race Championships in 2000 and other prestigious cycling events for more than 30 years. Completed the Le Tape du Tour cycling event in France and prominent face in the local cycling scene.